I was pretty excited when I got asked to write this week’s post for the PTS blog. I was excited because I was asked to write about something that is very important to me and that is something that I believe needs to be talked about a lot more. I am going to write about what I do outside of this seminary. We always talk about what is going on in classes and in the daily happenings at the Seminary but rarely do I hear what people are doing outside of these gates. I just graduated from Eastern University this past spring and every day I see more how what I learned there and what I did there have impacted me. Eastern is very social justice oriented and it has become a part of my ministry whether I wanted it to or not. While it will take time, commitment, and more resources than I currently have to figure out how to do both clerical ministry and social justice outreach together, I figure for the time being I can start small. Through Bellefield Presbyterian Church I have gotten connected with a homeless ministry called L.I.V.I.N.G Ministry with which I volunteer. Unfortunately I am only able to volunteer with them once a week and with other occasional events because of time constraints and other obligations. This ministry is a unique ministry in that they really emphasize the relational aspect of what they do. 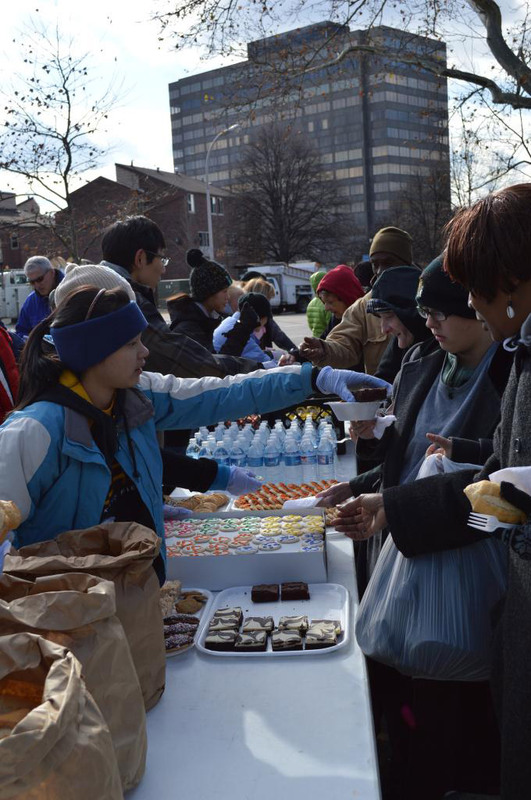 While it is important to meet the physical needs of the homeless in Pittsburgh, they want to love them and serve them through building relationships with these people and getting to know them on a very real level. The staff members for L.I.V.I.N.G Ministry visit the homeless in shelters each and every week so that they can create authentic reciprocal relationships with the people who stay in these shelters. As well as building relationships at these shelters, they also commit to doing Bible study together and sharing meals with each other. On Monday nights I go to Womanspace East Shelter, a shelter for women and their children. The first three Mondays of the month, while one of the volunteers watches their kids, we have a Bible study with the women who are interested. The last Monday of the month is reserved just for cooking dinner and eating together. I normally end up watching the kids so that the moms can be a part of the Bible study. At first I was kind of bummed by this because being a “seminarian” and all of course I wanted to be involved in the Bible study (I know for me it has taken awhile to realize that often times it is outside the “typical” setting of where we see God working that I see Him the most), but then I really began to see the value in the importance of something as little as watching kids. Without someone watching these kids, their mothers would not be able to partake in the Bible study. It’s just that practical. It also gives me a chance to show these kids some attention and allow them to tell me about who they are. I will be honest and say sometimes I leave wondering if I actually portrayed God’s love at all or if my presence there made any difference. That, I found, is one of the hard things about working in ministry and in situations where change is a slow, barely visible process. This is where I come to realize that it is not anything that I am doing or saying but rather what Christ is doing through me and through this ministry that is important regardless of if I can evidently see that or not. Written by Maggie Smith, first year M.Div. student at Pittsburgh Theological Seminary. Interested in getting involved with L.I.V.I.N.G Ministry? Contact Maggie (mtsmith@pts.edu) or visit http://livingministry.org. Recently PTS student Kelly Jean Norris-Wilke wrote an article for Unbound – an interactive journal of Christian social justice. Read more about her thoughts on how Pittsburgh Theological Seminary is advocating for social justice in the community. 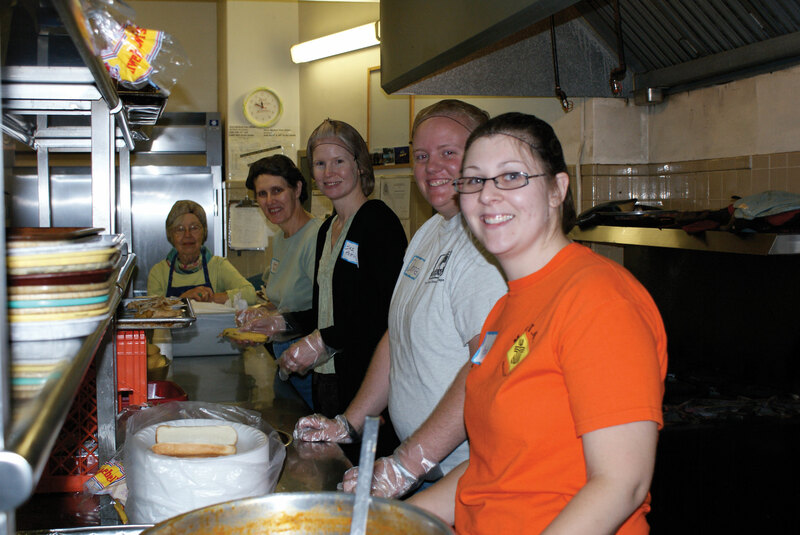 Pictured here are seminarians and others volunteering at a nearby soup kitchen.